We're hardly "modernists" or a trend-loving family. We're more traditional, eclectic, bohemians. We believe that everyone should be in tune with their own style, whether you're fond of everything romantic and country, or love contemporary elements. But, if you're certain that the home you're in is going up for sale within a few years, matching trends will certainly benefit you. If you haven't noticed, modern roofing designs that incorporate metal seem to be the rage lately, and I do love this look. The metal accents seem to work on any style of home, although, maybe not the pueblo styles down in New Mexico, but surely there is a way to make that work too. Personally, I love slate and clay rooftops, and find that they provide both a cozy and old-world feel. Metal roofs feel sterile and cold, but they are what's popular, and they do add a nice contrast against white paint. If you're in the market for a roof replacement, consider adding a modern metal roof element, even if the majority of your roof is traditional shingles. When it comes time to sell your home, buyers will take notice. Wood floors and terracotta tile flooring will ALWAYS be my favorite. 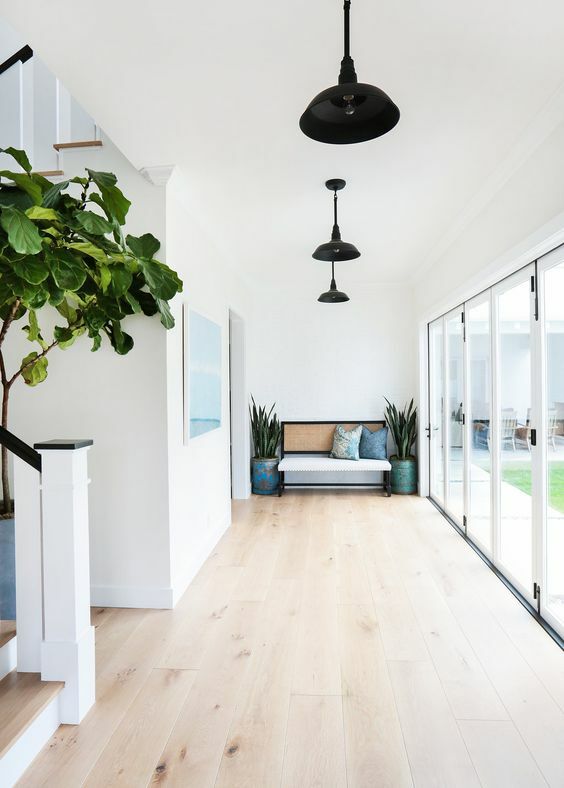 For a while, laminate, light colored wood flooring was popular, and then dark "wood" had its run, but lately wide-plank hickory-toned floors are popular. They are beautiful, and they do give a home a more open and airy feeling. If you know that you have to repair your flooring before selling, perhaps just your entryway or kitchen, consider something modern. Black and white patterned tile is another flooring option that you can't go wrong with these days, especially in the bathroom. You probably don't want to replace all of the windows in your home, unless you plan to stay. It's both expensive and enjoyable to have new windows, so you'll want to have them for your own family. You may consider replacement windows on feature windows in your home before selling, like a kitchen bay window. Windows with black metal trim are certainly popular, and the larger the windows the better. I'm perplexed by the idea that a home with small and minimal windows would ever be desired. Windows add beautiful natural light, and with wooden shades or neutral curtains, you'll be able to have just enough privacy. A beautiful door adds more curb appeal than anything else. If you're blessed with a double-door front entrance, consider it a beautiful blessing. Home buyers will always find a grand entrance appealing. Consider a fun paint color, or a beautiful wooden door, but surely something that matches the style of your home. Adding interior sliding doors is a lovely way to make spaces in your home more soundproof while maintaining an open floor plan. They're especially helpful when part of the home is still sleeping, and a few others are up late into the night sharing conversation. A sliding door adds a stylish muting barrier between two areas of the home. If you're on a tight budget but want to quickly up your curb appeal, consider painting your front door. May your home selling go smoothly! !